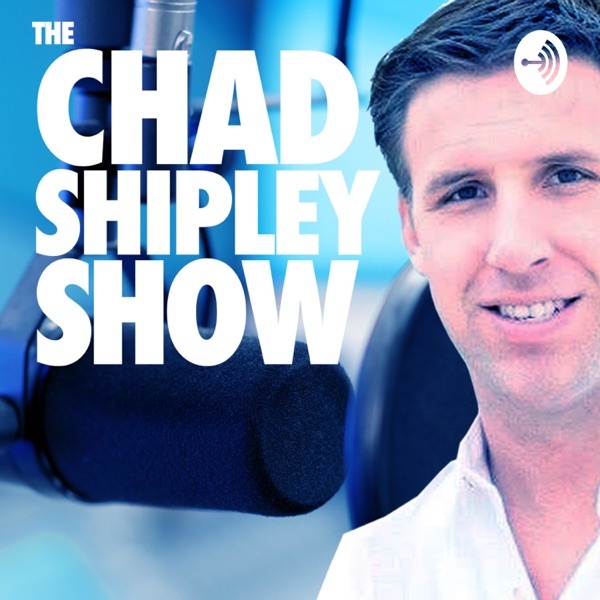 The Chad Shipley Show | Listen Free on Castbox. Welcome to the Chad Shipley Show, where I work for you! I live for continuous learning and expansion and have had the greatest mentors in the world. I synthesize the invaluable insights and lessons learned that have had the most profound impact on my life. It may be a book, a blog, a speech or a video. It may be a life changing story. You may laugh and you may cry. The goal is to give you something meaningful. Something to help us grow. The topics range from Flow hacking for increased performance to Charity Water and the countless lives a young girl saved just by caring. An introduction to what Leaders On The Rise is all about and some of the exciting things that we have coming up! A short intro into David Goggins, whose "find suffering" mentality is catching on like wildfire. I highlighted David Goggins and Jesse Itzler in my episode entitled The Path of MOST Resistance and this is the promised follow up on the introduction of David's book "Can't Hurt Me" - The most powerful book I have ever read. Please note - David Goggins is not a guest on this episode. This is a cover of him and his book. A dive into the questions used by Tim Ferriss, in his book Tribe of Mentors, to extract wisdom from the worlds top performers. And a shoutout to those that have had a profound impact on my life, from C-Suite executives to long time performance coaches. Themes in this episode include: Mental Toughness - Embracing Discomfort - Becoming Your BestI ordered two books back in January and had no idea that they were in any way related. Living with a Seal, 31 Days Training with the Toughest Man on the Planet by Jesse Itzler and Can't Hurt Me, Master Your Mind and Defy the Odds by David Goggins. These two humans have me doing things I never imagined, and I tried to surface up and tie together content from both books to give you a unique listening experience. I spent weeks reading and then developing the content for the show. The audio is not as great as I would have liked, but I don't have the luxury of fixing it at this point so I hope you can muster through it. Thanks for taking the time to listen. This is a very special follow up to the Among Heroes podcast featuring audio of Brandon Webb, former Navy Seal and Seal Sniper course instructor, and Mike Bearden from the book Among Heroes written by Brandon Webb. Brandon provides an introduction to Mike Bearden and then Mikes father comes on to talk about him. It is amazingly powerful and I hope it touches you in the same way that it touched me. The amazing power of friendship and what it means to be a great friend. This episode is a tribute to a person that I deeply admire and am inspired by. A role model that will help guide me for years to come. And, a special tribute to my best friend, a person who has given my life so much great meaning, and someone who I had the pleasure of sharing a wonderful childhood with. I hope this episode touches you as much as the content that inspired it has touched me. This episode takes a look at the new way that I am thinking about new years resolutions. "Be the person you needed when you were younger" is the theme that I break down into various new year strategies. I touch on Real Estate Investing, Vacation Properties, Day Trading, Financial Investing, Physical Fitness and Transformation, Seeking Continuous Knowledge & Expansion, Helping Others in Great Need, Building a Model of the World for my daughter, plus much much more. I hope that you enjoy and best of luck in 2019 - May you be the best you! May we all remember the 20 beautiful children and 6 adult staff members that lost their life on December 14, 2012. A look at one of the most extraordinary men alive and his impact on my quality of life. Loving the episodes so far. The range of topics is great and keeps it fresh. They really help drive home the theme of "Be better, do better."